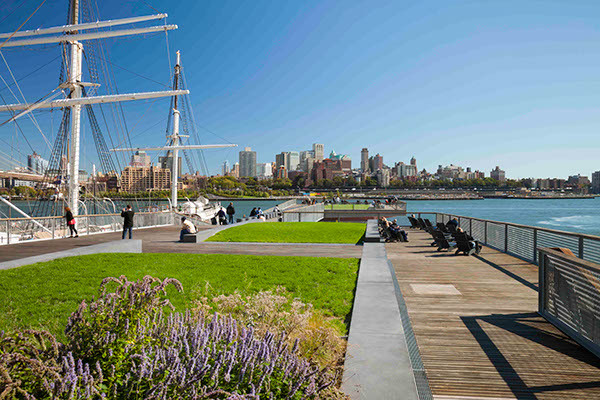 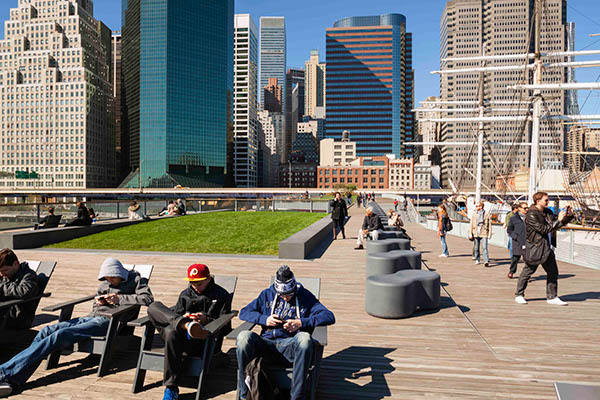 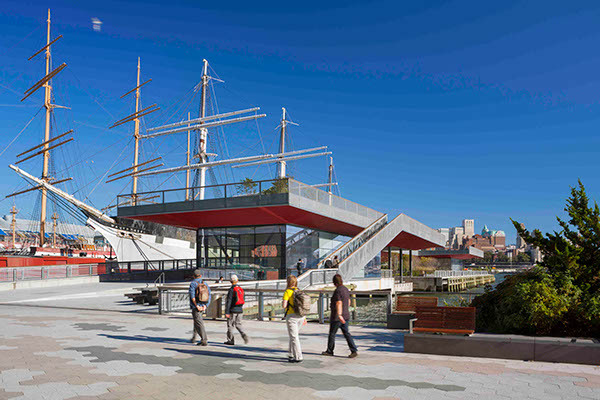 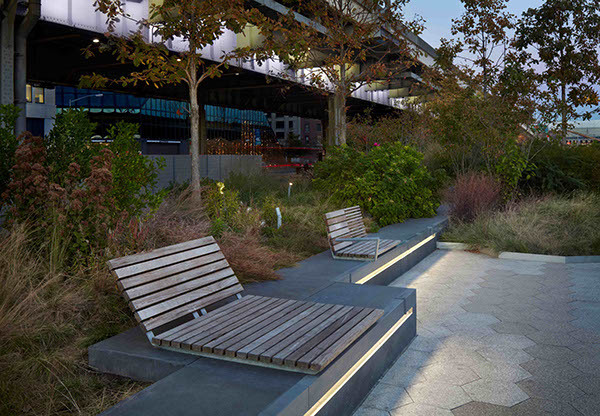 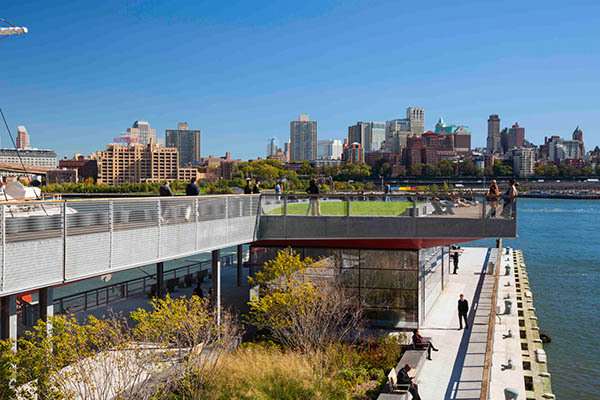 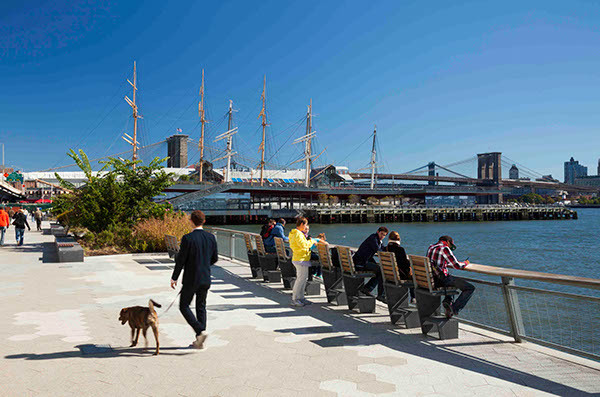 Ken Smith Landscape Architect has been working as part of a multi-disciplinary team with SHoP architects and ARUP on a two-mile stretch of the East River Waterfront in Lower Manhattan, starting with master planning and continuing with full project design for the public esplanade and open space improvements. 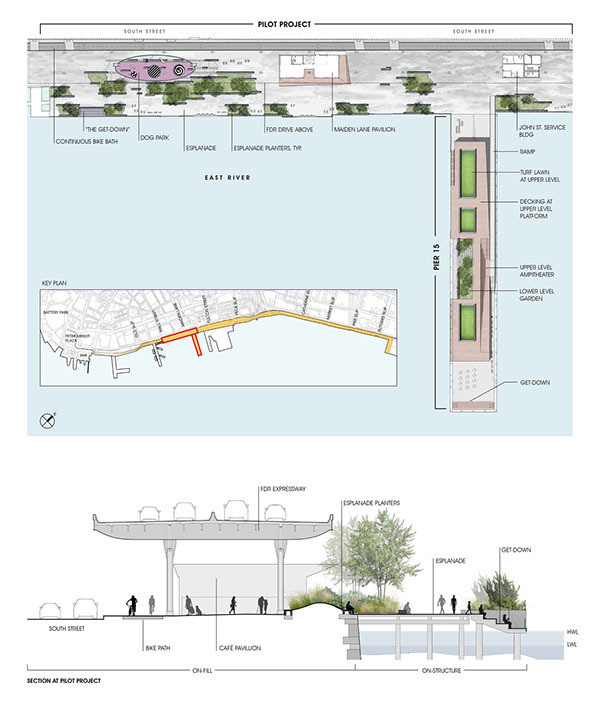 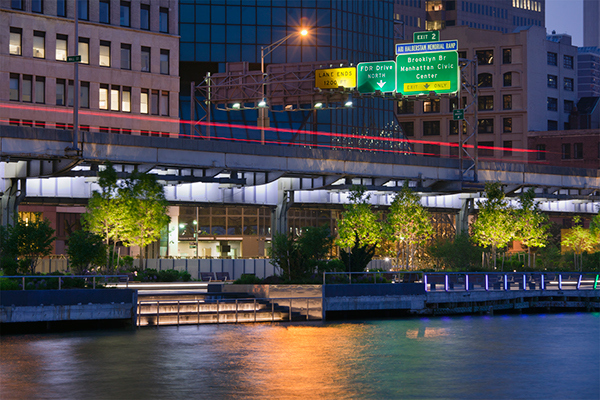 The complex site sits partially beneath the elevated FDR highway and partially over water on marine platform structure. 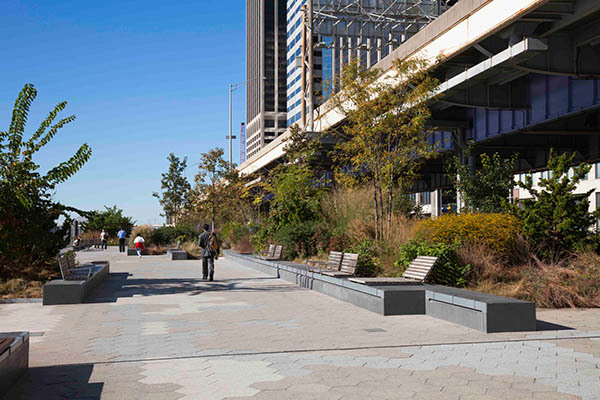 The goal of the project is to provide continuous public esplanade for bicycles and pedestrians, improve connections to the adjoining neighborhoods and provide needed open space amenities. 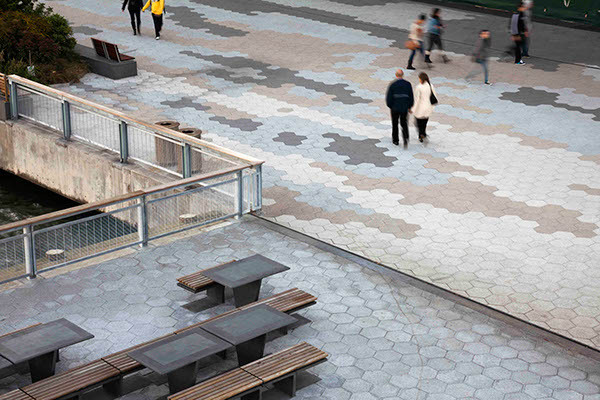 The project design is conceived as an adaptive “kit-of-parts” for the primary site elements of paving, planters, railings and furnishings. 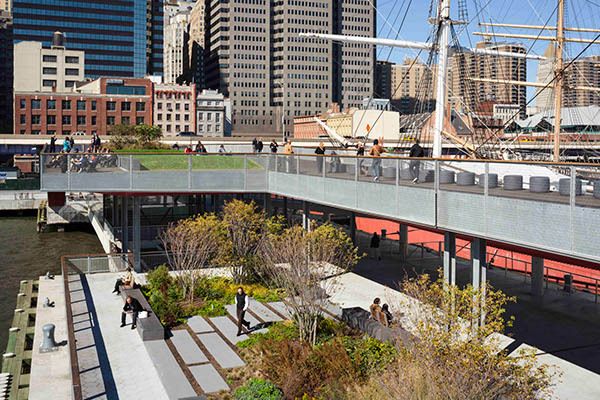 These basic elements provide continuity while adjusting to varying conditions of the site. 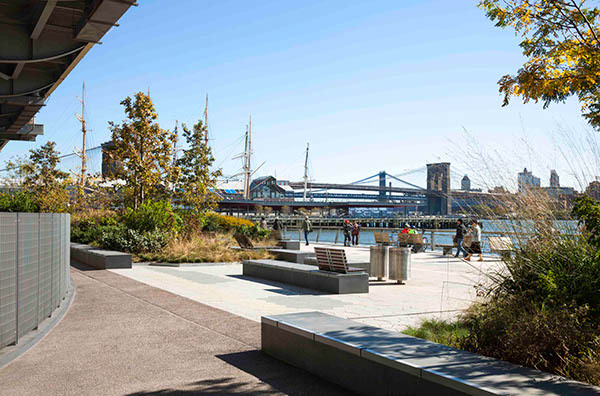 Features include two landscaped recreation piers, a dog run, fishing balconies, exercise platforms, swings, overlooks and an innovative mussel habitat demonstration area, aka “Mussel Beach”. 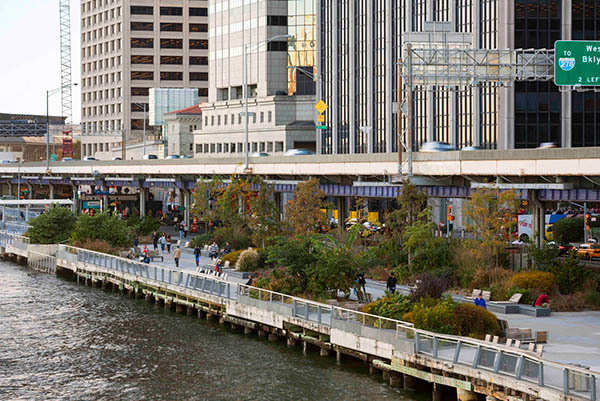 Two-mile planning and design for public esplanade and piers on New York City East River waterfront.